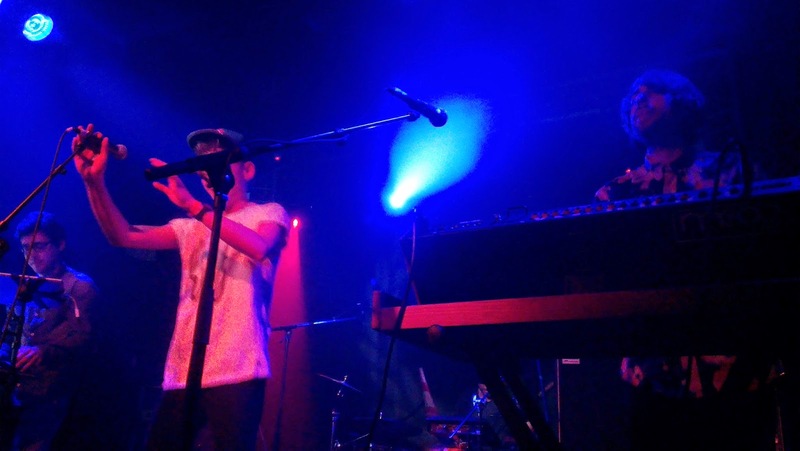 The first artist on our list was Fyfe, who was playing on the top deck of Thekla – a fairly cramped and dingy venue. It seemed as though the majority of people were just making use of the room for its bar, but there was still a fair crowd waiting to watch. 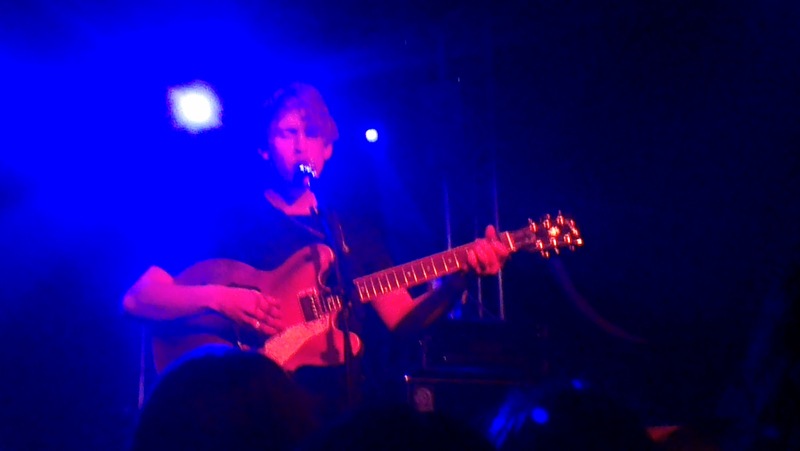 Fyfe began by apologising for the lack of his band (they were stuck in traffic) and then launched straight into his short set of just his vocals and guitar. Without the band his songs did seem a little bare, however his distinctive tone and varied use of his vocal range meant that his performance still had enough life to hold the attention of the crowd. 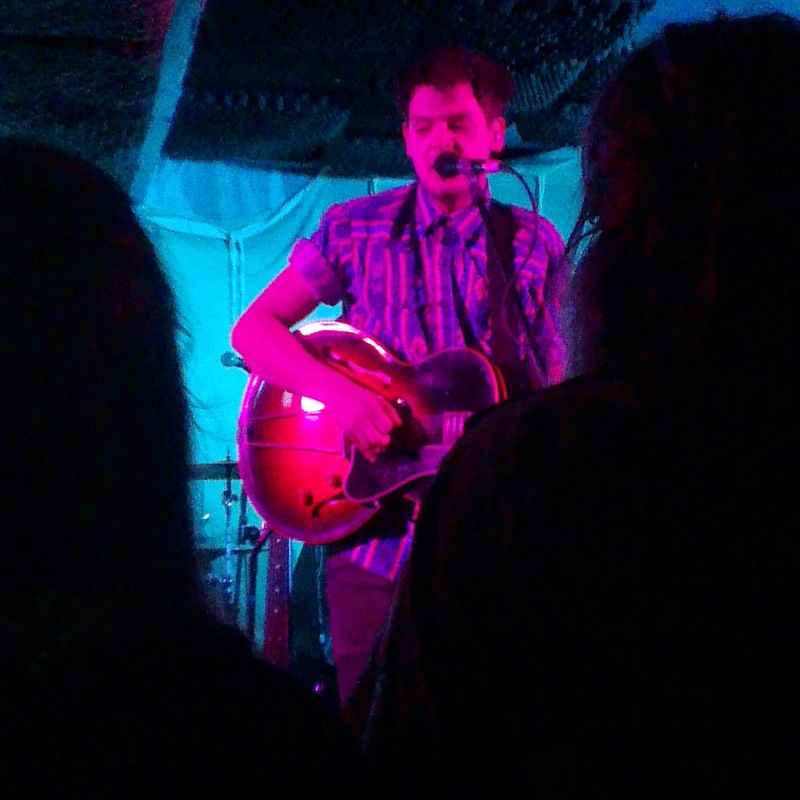 Conveniently, it was only a trip downstairs to Thekla’s main area for our next two acts. I had heard big things about RHODES from my friends who had already seen him live and a listen to some of his tracks on SoundCloud only raised my expectations. As with most of the artists we saw on the day, RHODES wasn’t much of a talker, and got started straight away on a couple of songs with just him and the guitar. These initial performances really showed off his impressive vocals and talent for writing songs that evoke genuine feeling. Half-way through the set, the singer introduced his band to the stage and this added a much fuller sound to the remainder of his tracks, as well as giving an energy lift to the performance. The combination of RHODES’ enchanting melodies and stunning vibrato led to him earning a place as one of my favourite performances of the day and he is definitely an artist that I will be following in the future. Next was another performance that I was really looking forward to, having listened to the band a fair amount before the festival. Years & Years describe their music as ‘Electro Soul Pop’, but their sound is daringly unique, whilst being simultaneously easy on the ear. The band have achieved that ideal balance of catchy melodies, whilst staying well clear of tipping into the cheesy, over-commercialised sound of pop. What really struck me about Years & Years was the enthusiasm and energy that came through their performance. Lead vocalist Olly Alexander was bouncing around the stage with a huge grin and the excitement of a hyper child, and though finding him adorable and wanting to give him a hug wasn't very Rock n’ Roll, he gave a charismatic performance and immediately established a strong connection with the crowd. The band’s cover of Saun Paul’s Breathe was another great touch to throw into the mix. 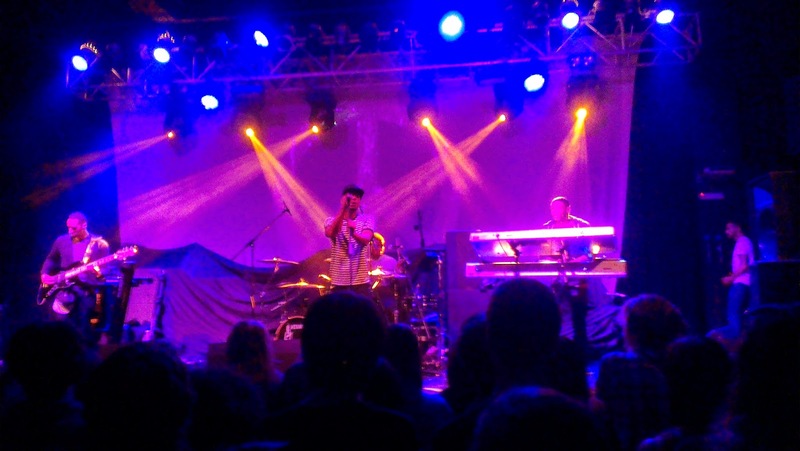 From Thekla we headed to the O2 Academy, the biggest venue of the festival, to catch a bit of Raleigh Ritchie’s set. The young singer-songwriter’s combination of soulful RnB vocals and highly energetic rap was complimented by a full band of guitars and drums, which added the extra dimension of rock/pop. Raleigh Ritchie had a lot to say and interacted regularly with the audience, whether it was to explain what the next song was about or simply invite them to ‘go completely crazy’ in the instrumental break. It was somewhat impressive that he managed to get the late-afternoon crowd to let loose and throw their limbs in every direction at such an early point in the day. Because of her recent success in the charts with ‘Solo Dancing’, we were expecting a good performance from the next artist, Indiana. Whilst it was by no means a bad set, it was fairly repetitive and almost monotonous at times. 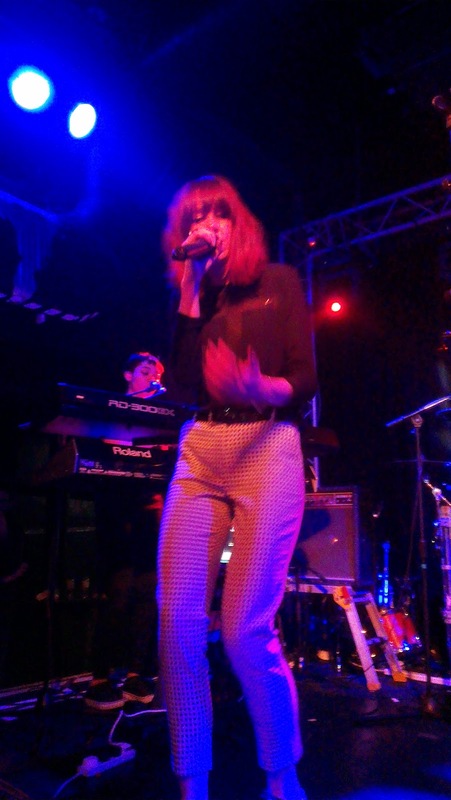 It was difficult to pick out Indiana’s voice from her band due to the low level of her microphone, which gave the set more of a ‘background music’ feel rather than a vocal performance. Indiana is still worth a listen, unfortunately her performance just fell short in comparison to the others we saw on the day. 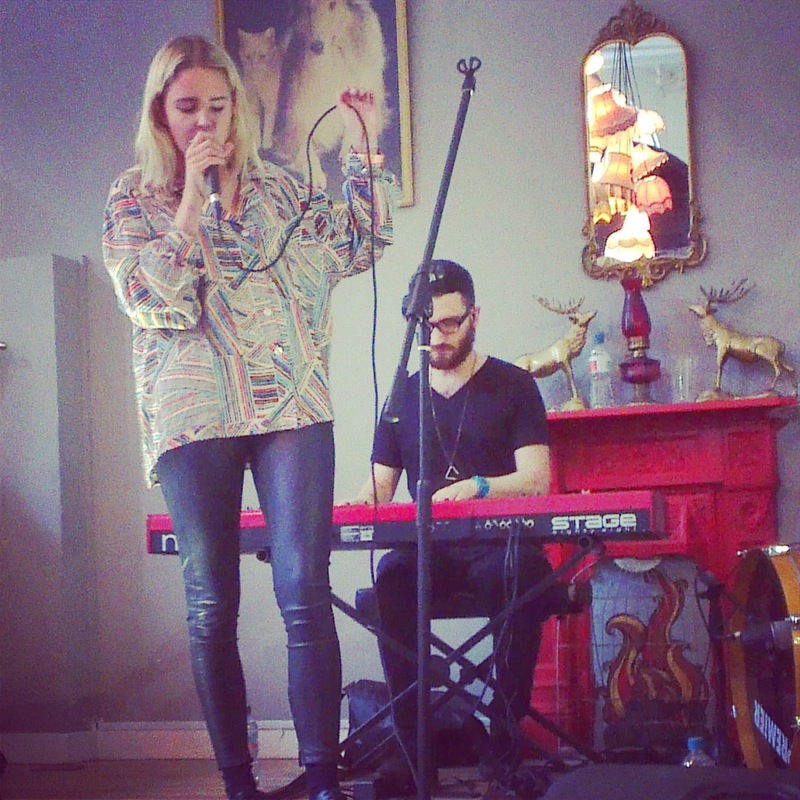 The Birdcage, a quirky café-come-vintage store in the centre of town, was the perfect location for the dreamy vocals of Laurel. The young singer-songwriter’s hauntingly beautiful melodies were supported by a band that consisted of keys, a cello and percussion, which allowed her vocals to ascend to their full potential. Laurel possesses that ability that all songwriters strive for - the ability to convey those moods and feelings that you can never put your finger on securely enough to label. Her lyrics tell the stories that her melodies and dark, brooding undertones paint the pictures for, and Laurel barely broke this illusion once during her performance as she was fully immersed in every syllable she sang. After the Birdcage it was back to Thekla in time for Laura Welsh’s set. I was already a fan of her music and so was pretty excited to see a live performance. Welsh’s mix of soulful vocals and electronic beats gives her music a mellow yet upbeat vibe, which comes across well live, particularly in a venue the size of Thekla. The only criticism was that the volume of Welsh’s microphone could have done with being quite a bit louder, as her vocals had a tendency of getting lost in the mix of sounds and it was a challenge to decipher individual lyrics. It is clear that Welsh has a striking voice, and the performance would have been undoubtedly more impressive if it had showcased her vocal skill a little more. For our final artist of the day we ventured to The Louisiana to see Sivu. I’d only heard a couple of his tracks beforehand so went into this one with a fairly open mind, but was immediately impressed by his infectious melodies. Sivu offered a blend of both soft vocals dominated by falsetto and heavier, more gravelly tones that were lifted to full power by the fervour of his accompanying band. Sivu is another one I’ll definitely be looking out for in the future and it was a great set to finish the festival with. Although I won’t be in Bristol this time next year, returning for the weekend to go to Dot to Dot will be very tempting. As well as having a brilliant day of live music, I’ve discovered a number of artists that I will be continuing to follow over months to come.